1 The next time you decide to drink a glass of water, take a good look at it. Does that water look old to you? How old do you think it is? Could it be a week old? Is it possible it could be a year old? Would you believe that water has been around about as long as the Earth has? As hard as it may be to believe, it is true. Wow! That is some old water you are about to drink. 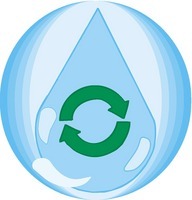 2 The amount of water on the Earth stays nearly the same. The water cycle is what makes that possible. Water is always moving and changing from liquid to solid to gas and then back to liquid again. Over and over, around and around, the water cycle moves water on, in, and above the earth. It is like a constantly turning wheel. 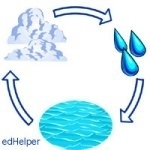 3 There are four parts to the water cycle: evaporation, condensation, precipitation, and collection.